As a Brooklyn resident myself, I have a soft spot for all weddings in my favorite borough. Of all the unique Brooklyn wedding venues out there, nothing comes close to the sweetly rustic, quirkily industrial charm of the Green Building in Gowanus. This wedding at the Green Building had a wonderful, wonderful dance party during the reception! Originally built as a brass foundry in 1889, recent renovations have turned this old warehouse space into one of Brooklyn's premier wedding and event facilities. 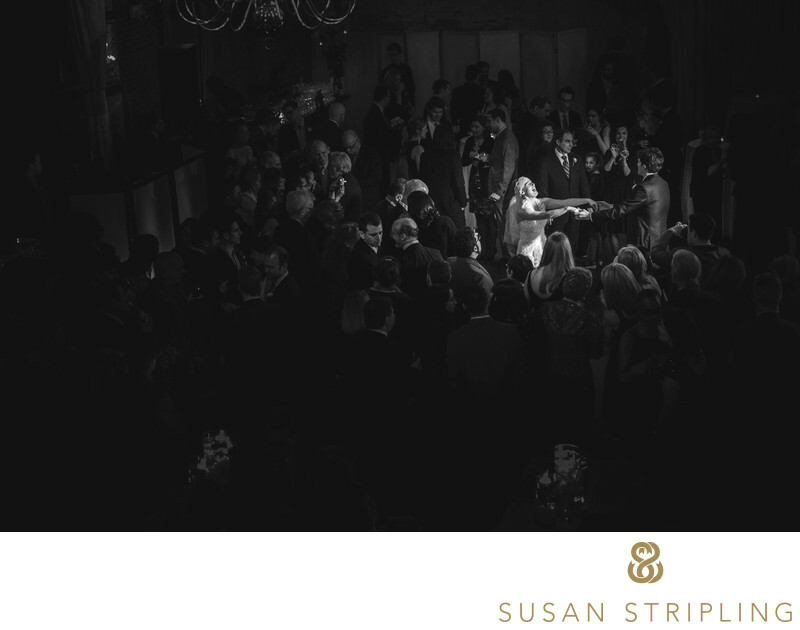 With nearly six thousand square feet of usable space, this truly is a unique venue! If you're looking for rustic charm, charming chandeliers, exposed brick, brilliant natural light, huge open-beam ceilings, and a wonderful neighborhood to get married in, by all means check out the Green Building! "Bring people together to celebrate love, forge deeper community bonds, and witness art... and to have a good time while doing it." 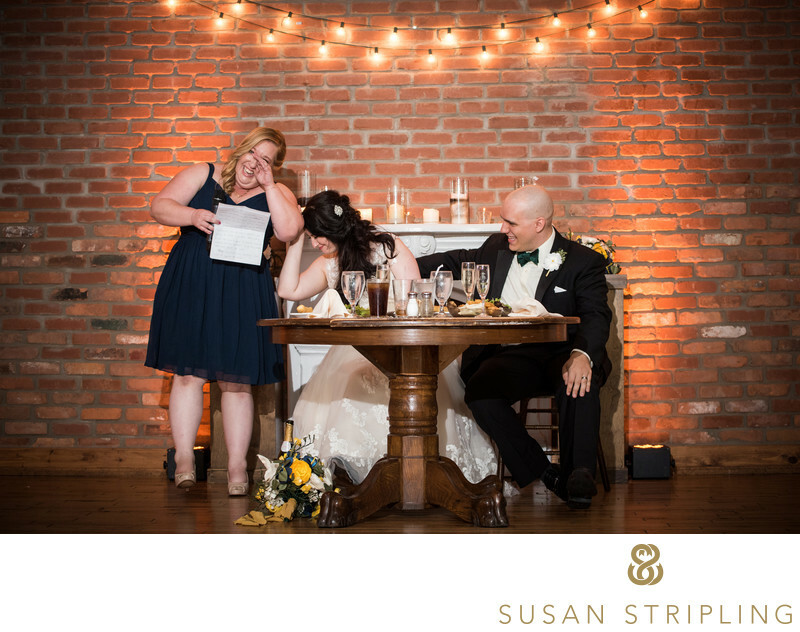 I love how the hanging lights from this couple's ceremony was the backdrop for their challah cutting. 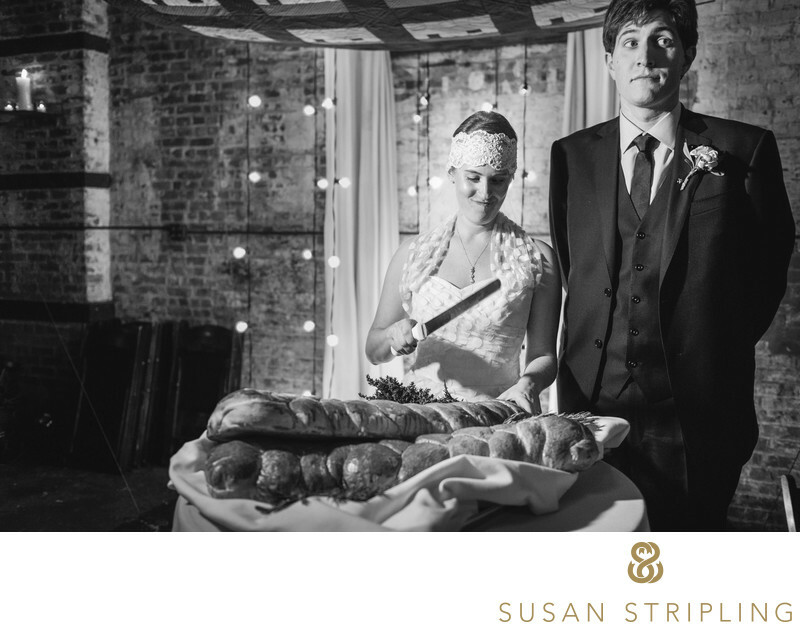 I especially love the look of fear on the groom's face as his wife wielded the bread knife! The Green Building can accommodate nearly three hundred guests if you're having a stand-up event, and about a hundred and fifty for a seated wedding reception with a dance floor for a party! Rental rates vary based on when you're getting married, your date, the season, and the month. To book your date at the Green Building, a deposit is required. Your balance will be due thirty days before your event date. There is a "private lounge" available for getting ready at the Green Building prior to your wedding : however, in my experience, most couples choose to get ready at a nearby hotel, apartment, or AirBnB. There is heat and A/C available : a must for all city weddings in the hot and cold months! There is a 2,400 square foot courtyard outside that makes a great backdrop for wedding day portraits, as well as cocktail hour hang-out space. 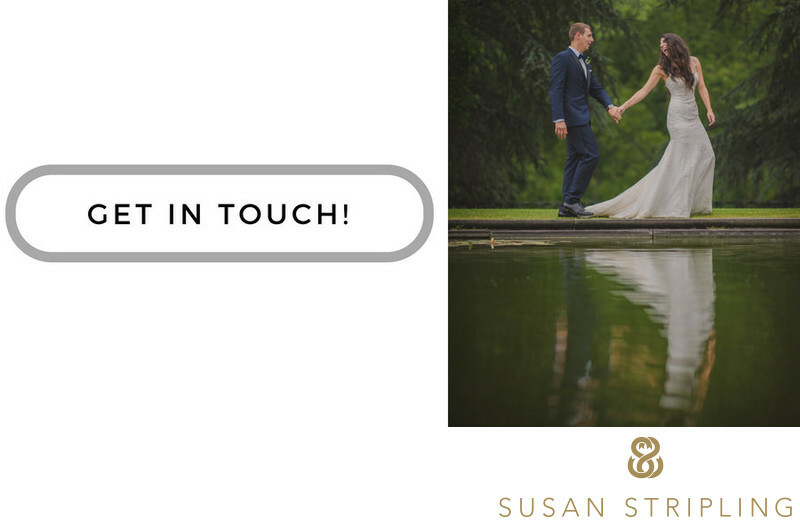 If you're getting married at the Green Building, I'd love to hear more about your plans and answer any questions that you might have! I'd also love to chat all things Gowanus and Brooklyn, get to know you a bit better, and hear more about your plans! Keywords: buffalo (27), hotel at the lafayette (27), new york (1395), toast (33), wedding (3357). 1/100; f/4.0; ISO 1600; 80.0 mm.